Although we are not without the odd acts of vandalism we are fortunate that Pickering has a close knit community and whenever we are out and about in our yellow hi-viz jackets people stop to talk and compliment us on how the town looks. 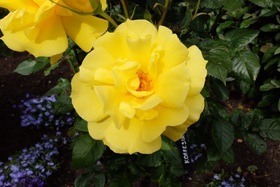 Some visitors waiting to board a coach remarked that they had been on annual trips to the town and every year it is worth coming just to look at the flowers. 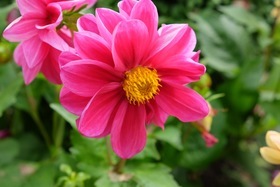 Long may we continue to live up to our name and truly keep Pickering in bloom. 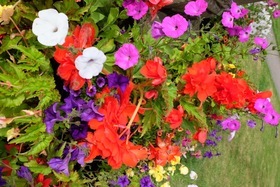 Pickering in Bloom was formed in 1987 as an advisory working party to the town council but in 2005 the group became independent and began to concentrate on planting schemes and improvements needed to make colourful displays around the town. 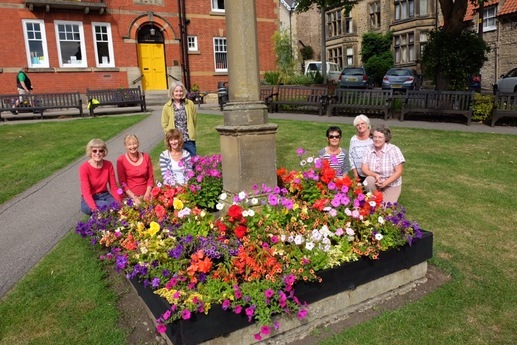 Over the years dedicated volunteers have gradually refurbished all the planters and gardens in the town and achieved eye catching displays in both Spring and Summer. The generosity of annual business donations and planter sponsorship has ensured that all the costs involved have been met and any surplus funds have been used to provide seating in the town for residents and visitors to rest and admire our handiwork. 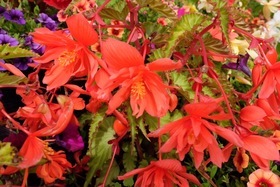 For donations or comments on Pickering in Bloom please use our contact page.